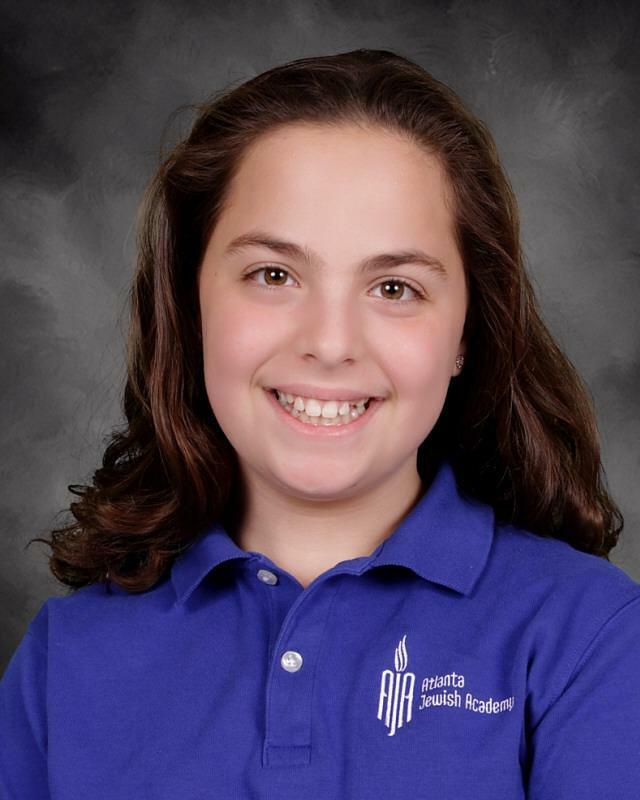 Written by 6th Grader Noa Lerer, who will become a Bat Mitzvah this Shabbat. This Shabbat we start ספר במדבר, Sefer Bamidbar, it is also called the book of the journey, the journey to Eretz Yisrael. וַיְדַבֵּר ה' אֶל מֹשֶׁה בְּמִדְבַּר סִינַי בְּאֹהֶל מוֹעֵד בְּאֶחָד לַחֹדֶשׁ הַשֵּׁנִי בַּשָּׁנָה הַשֵּׁנִית לְצֵאתָם מֵאֶרֶץ מִצְרַיִם לֵאמֹר שְׂאוּ אֶת רֹאשׁ כָּל עֲדַת בְּנֵי יִשְׂרָאֵל לְמִשְׁפְּחֹתָם לְבֵית אֲבֹתָם בְּמִסְפַּר שֵׁמוֹת כָּל זָכָר לְגֻלְגְּלֹתָם. Take the sum of all the congregation of the children of Israel, by families following their fathers' houses; a head count of every male according to the number of their names. Let’s look at the word “שאו” - it means to lift up, to raise. Raise your head up! Rise up. Each and everyone of us has our own unique term. The פסוק goes on and adds למשפחותם - each and everyone of us has the family we came from our ייחוס, our own nuclear family. And the פסוק goes on - “לבית אבותם” - each and everyone is also a part of a bigger family - our community. The Ramban says here that the counting wasn’t just literally counting numbers, but it was more significant. Each one was counted by name in his own unique name that holds the person’s character, skills and personality and the special role that only he or she can do. Every person has a unique value. There is wholeness when every person contributes from their his own unique personality. The פסוק says שאו את ראש raise your heads - meaning that every person will know that only they he could fulfill their his role and no else can do it instead of them him. If one person is missing, then the nation is not complete. Just like if there is one letter missing from the ספר תורה, it makes the whole Torah is not כשר and it you may not be used it until it is complete, fixed. The same is for עם ישראל if there is one person that is not fulfilling their his role, it affects the whole nation. The same idea can be found in the Parasha, where the Torah goes into great detail of how the שבטיםtribes camped in the desert. Each שבט had its own flag and its “parking”, camping place. It might seem a bit odd that the Torah describes in detail this “technical” aspect. Rashi explains this pasuk that each שבט had an “אות” - a flag as a symbol. Each shevet had its own flag with its specific color, the same color of the shevet in the stones that form the Cohen HaGadol Hoshen’. This way each one could know the color of his flag. Each flag characterizes the שבט not only by the color but also, as רשב”ם explains, that on top of the color, each flag had also an illustration that symbolizes the שבט. For example, in יהודה’s flag, there was a lion - גור אריה יהודה; in יוסף’s flag there was an ox - בכור שורו הדר לו; in ראובן’s flag there was a man picking flowers, that remembers the דודאים, and in דן’s flag there was a snake - יהי דן נחש עלי דרך. So, one can combine color and illustration to provide a better understanding what is the function of each שבט. In the desert, each one knew what is his function - תפקיד in the world. It could be learning torah, or working - עבודה, or charity - חסד. All together, makes a שלמות. We can take this example from בני ישראל in the desert to apply in our life, that means that everyone has its function - תפקיד and חשיבות, and has his flag to belong to, to be part of. And this is the real meaning, to make an אחדות in עם ישראל. There was a map with a color - always the same color. The blue, for example stood for ראובן, and שמעון and גד were the שבטים that always join him. יהודה had a color for another side and so did דן and אפרים. The color of the flag was as the color of the stone in the חושן . The רשב”ם explains it differently. He says that in every flag there was a drawing, an illustration that symbolized the שבט. On יהודה’s flag there was a lion - “גור אריה יהודה”. On Yoseph’s flag there was an ox -” בכור שורו הדר לו”. The Rashbam goes on and adds that on ראובן’s flag a man picking flowers (דודאים) was illustrated, and on Dan’s flag there was a snake “יהי דן נחש עלי דרך”. There is a beautiful parallel - these illustrations are reflected in the illustrations of the כסא הכבוד Hashem's throne. The כרובים had the faces of a person, lion, ox and eagle. The same applies for the camp of עם ישראל the Israelites. The way they camped it may seem that the nation was divided: Yoseph, Yehuda, Reuven and Dan. That is the description of the phrase “איש על דגלו לבית אבותיו” - following their fathers' houses;. But it goes on “מנגד מסביב לאוהל” ….. As they camped - they surrounded אוהל מועד everyone together, everyone equal in their role as a nation. Three years ago, my parents made a decision, that we are going on שליחות in Atlanta. As they told us, I started to cry. I knew that I would need to say goodbye to my friends, family and everything that was familiar to me and travel far away, to a new country with a new language and new people. So much was new and unfamiliar - that was scary! I really did not want to go, but I had no choice. The beginning was hard. I didn’t understand anything in class, or going on around me. It took me forever to do homework. But with the help of my teachers and friends, I managed to learn and overcome the difficulties. And last, but not least, thank you - each and everyone of you, each one of you has had a part in our comfort here in Atlanta. With your smiles and your warmth it made me realize, that we might be divided into tribes, but together we are one camp, all surrounding the same אוהל center. We are returning to Israel soon, and I would like to remind you that - there is a home in Israel waiting for you with opened arms - let us give to you even just a bit of what you gave to us.